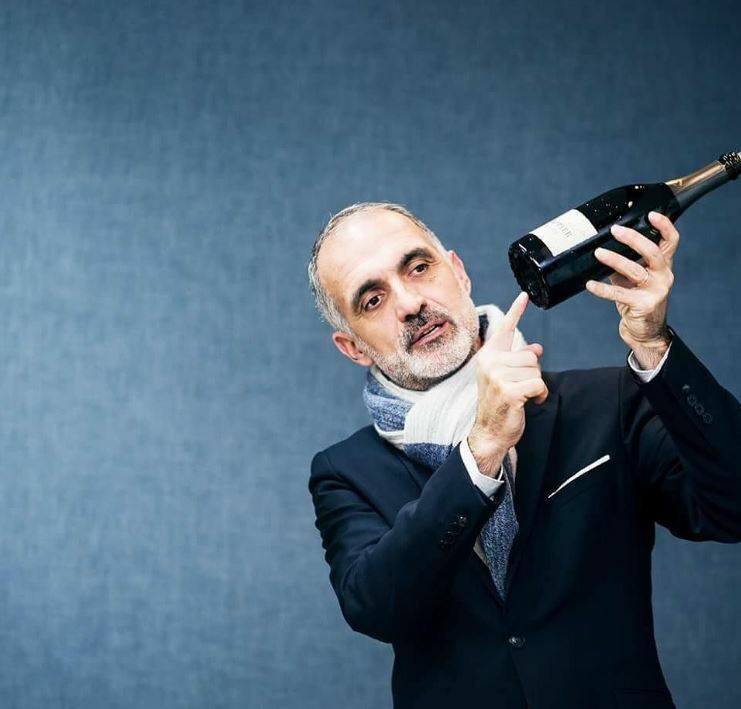 From sabering Champagne (Danielle McKee-Langley) to savoring Italian Spumantes (Dario Zucconi) to sipping Crémant & Vin Mousseux (Kevin Sharkey) – everything you need to know about buying bubbles. Californians love their bubbles year round, but with the holidays ahead of us, it’s easy to find even more excuses to chill, pop, saber and savor bubbly of all kinds! At Wine Warehouse, the Fine Wine Specialists are bubbling over with excitement for the holiday season! Here are their sparkling picks for holiday season 2018 to get you in the holiday mood. Personally, I love Champagne. But picking a favorite is something I refuse to do. There are too many fine producers to choose from and each Champagne house has something different to offer up for each unique mood and celebration. When it comes to Champagne, we got you covered! The Drappier family is a bold one. In the 1930s the Drappier family decided to plant Pinot Noir in Urville, within the region of Aube. They were the very first to do this and turned a lot of heads, but eventually Champagne Houses in the Aube region agreed that Pinot Noir is the most suitable grape to plant for making the best Champagne expression conceivable. Thanks to the Drappiers, Pinot Noir is now three quarters of grape production in the local area! Being bold seems to pay off for the Drappiers. The current two generations of Drappiers have pushed to become growers and moved toward organic and natural farming. 60%-100% of the fruit going into their Champagnes is from their own vineyards. Today Drappier Champagnes are all extremely low to zero sulfur, low to zero dosage and sometimes 100% farmed organically. If you’re looking for the crowd pleaser, look for Carte d’Or. From the south of Champagne in the Aube Valley, we have a family owned Champagne house called Champagne Drappier doing beautiful things with Pinot Noir. Maybe you’ve heard of them? Without a doubt, Champagne drinkers in France know Drappier by name. Drappier, founded in 1808, has been enjoyed by France’s notable and famous for many, many decades. Champagne Drappier was chosen as the official Champagne by Charles de Gaulle (French President from 1959 to 1969) for all his private receptions! 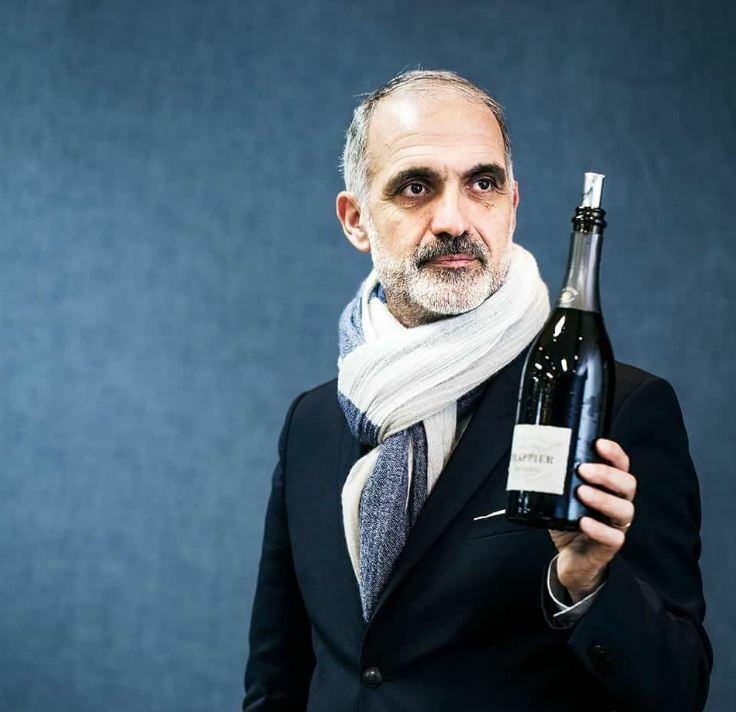 Drappier was honored by this and so to pay homage to the adoring president, Drappier makes the Charles de Gaulle Cuvée which is composed of 80% Pinot Noir and 20% Chardonnay and aged for at least three years sur lees. This wine is a blend from almost entirely red grapes, and with a softness in the mouth that can be attributed to 5% of the wines being matured in barrels for one year. Pinot Noir is the star of this blend that’s 75% Pinot Noir, 15% Chardonnay and 10% Meunier. Champagne lovers that are picky about sugar levels and love their Champagne dry dry dry, will love Drappier Brut Nature, Drappier Brut Nature Rosé and Drappier Brut Nature Sans Soufre! All three come with no added sugar (zero dosage), little to zero sulfur, 100% Pinot Noir and all from their very own vineyards which are farmed naturally. Special occasions call for the Grande Sendrée Cuvée and the rare Charles de Gaulle Cuvée! Both are vintage Champagnes and selected either from a single parcel or only the very best parcels. Looking for something with a very long history and true to the original style of Champagne from the start of its production in the 1600s? Look to Lanson. Lanson is making their Champagne in the same original style of Champagne since 1760, i.e., it doesn’t go through malolactic fermentation. Today they are one of the very few, but renowned, producers in the style of zero malolactic fermentation. The House of Lanson, founded in 1760, is one of the very first Champagne producers – their fine fizz soon became sought after by royalty. Lanson has been the official supplier to the British court since 1900, when Henri Marie Lanson was awarded the title of “Purveyor of Champagne to Her Majesty” by Queen Victoria. Look for a gold crown on the top foil of the bottle. 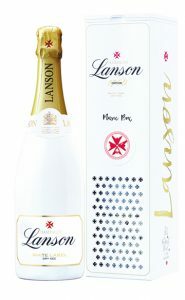 You’ll see the official stamp declaring Lanson as a purveyor by appointment to H.M. Queen Elizabeth II. Lanson’s fruit is sourced from only premier Cru and Grand Cru vineyards and their blends are Pinot Noir dominant. The non-vintages – Black Label, Pink Label (Rosé) and White Label (Sec) – are produced from reserve wines of over ten different harvests and are aged on the lees for at least three years to add richness to the clean zero malolactic fermentation style. Even the non-vintages from Lanson show extra depth of maturity with all the time and care in the blending and aging process. 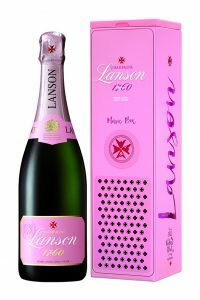 With Lanson you can take your bubbles to multi-vintage or vintage level for an elevated experience without a major elevation of investment. Try the Gold Label 2005 – which is roughly half and half Pinot Noir and Chardonnay, made exclusively from the Grand Crus and left to develop in the cellar for at least five years. 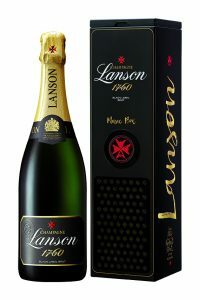 If you feel your occasion could use the royal touch, give yourself the royally appointed Champagne, Lanson Champagne. In order to produce the pure, fine and elegant wines they strive for at Bruno Paillard, they practice sustainable farming, keep dosage low and allow the wines to go through malolactic fermentation. Start yourself off with the Premiere Cuvée or Premiere Cuvée Rosé. But venture upward to the Grand Cru Blanc de Blancs, as well as their vintage Champagnes and if you can get your hands on some N.P.U. – Nec Plus Ultra – meaning “nothing further beyond,” I highly recommend it. N.P.U. is only made in the best vintages, from only Grand Cru sites, and fermented and aged about ten months in small wooden barriques. Then the wine is aged in the cellar for around 12 years or more! This is where you’ll find the ultra in expression of purity – that diamond of a Champagne. 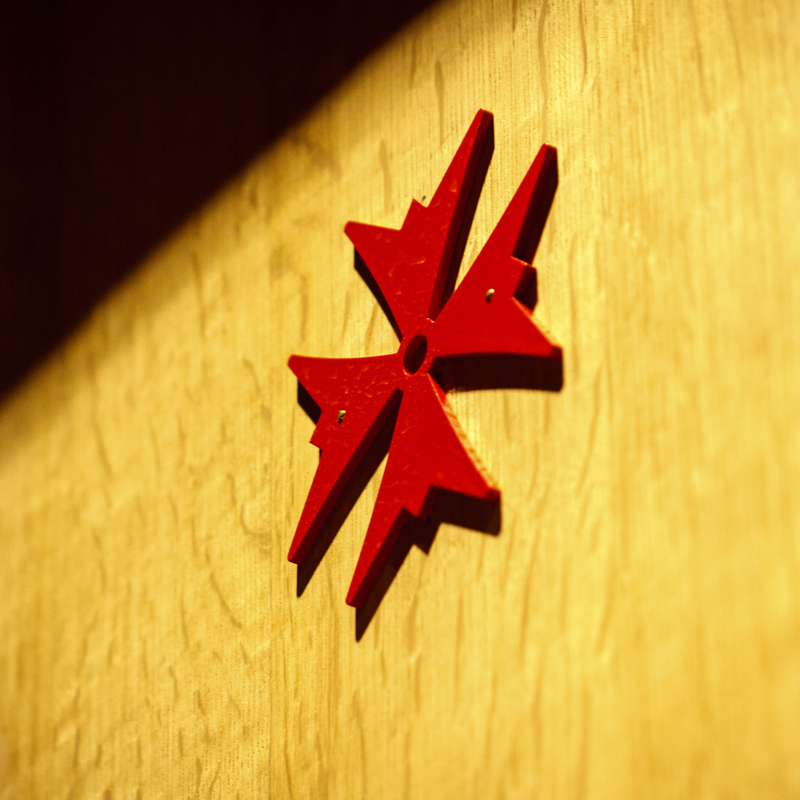 For those who like to find a hidden gem, Bruno Paillard is your diamond to discover. Champagne Bruno Paillard is a smaller scale producer famously known for purity of fruit from an assemblage, a blending of diverse crus, grape varieties and vintages. Bruno Paillard Champagnes were first recognized by the English Press as some of the region’s best wines. 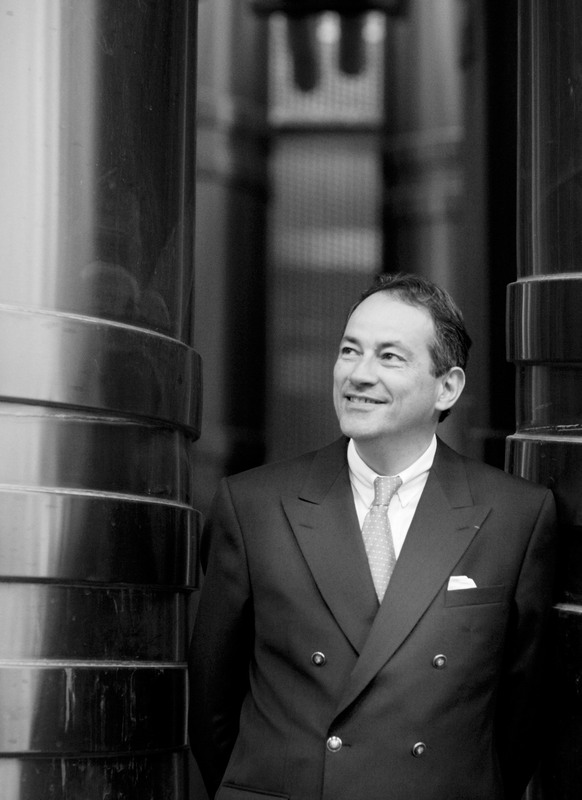 Bruno Paillard owns their own vineyards, which contribute to 50%-60% of their wine production. The vineyards cover 32 hectares (79,5 acres) of land over the best Crus of Champagne: Le Mesnil-sur-Oger, Oger, Cumières or Verzenay and Les Riceys – many of them Grand Crus. Altogether their vineyards represent over 100 plots, each with different terroirs. How do you take a tour of the entire region of Champagne in its entirety? Pop open a bottle of Jacquart. 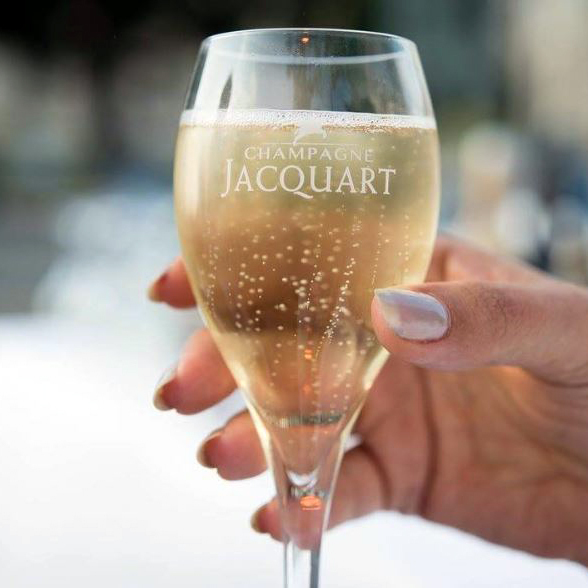 Jacquart Champagne has the region of Champagne as a whole in its back pocket! Jacquart works with 1,800 winegrowers, spanning 2,400 ha, in 60 different villages, with varying terroirs! Now that’s what I call covering your bases. Jacquart has been making wine since 1964, and has taken its place among the top ten international brands in less than half a century. 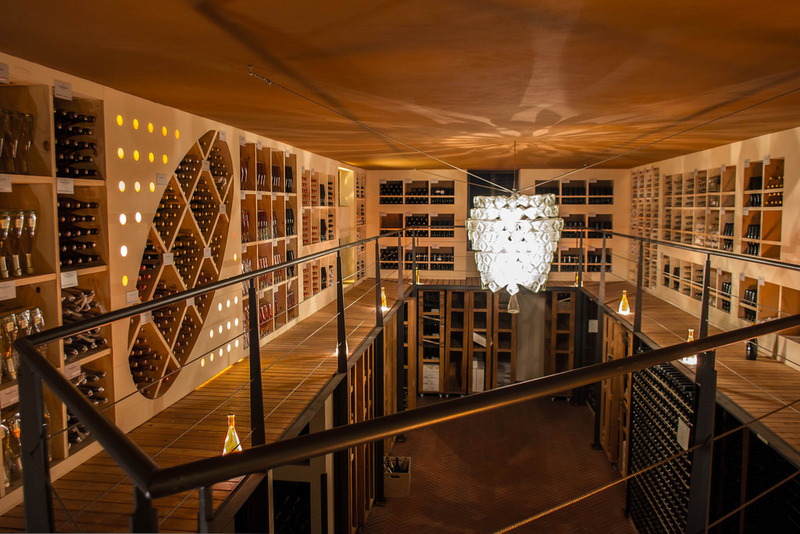 For several decades Maison Jacquart has distributed its wines in every continent, from the United States to Japan and Australia, in total around 50 countries. The grapes are sourced from exceptional terroirs, including the Grand Crus of the Côte des Blancs and the Montagne de Reims. The vineyards that Jacquart source from are all committed to sustainable vine-growing to protect the environment, the drinker and the future of the vineyards. 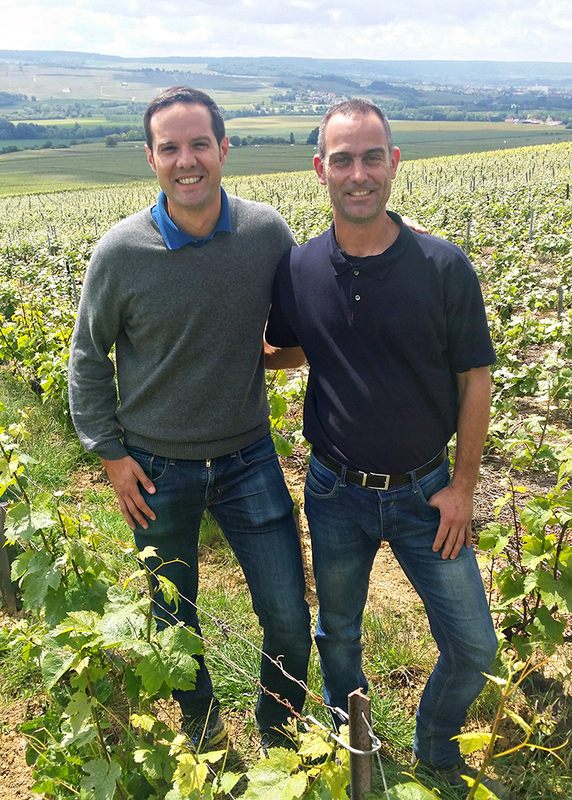 Jacquart’s style is about embracing what the region of Champagne as a whole has to offer to make the very best blends based on numerous terroirs. The Champagnes are a mosaic of terroirs and flavors. All their wines go through malolactic fermentation and extended aging. Cuvée Brut Mosaïque goes through three years aging, whereas the vintage wines and prestige Cuvée Alpha go through five to six years aging. 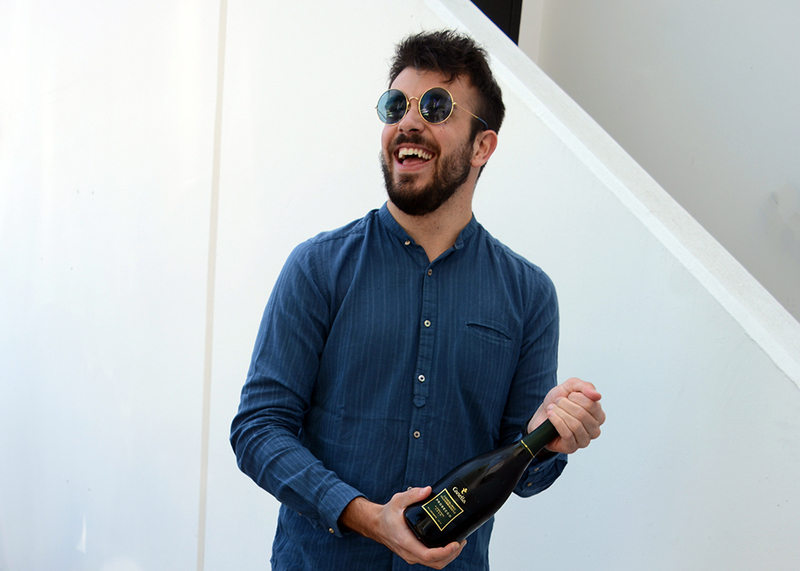 When your open a bottle of Jacquart, you can expect to taste the forthright character of Chardonnay as it is the star in their wines, but you will also enjoy its lightness and finesse, making it your easy drinking Champagne – a Champagne for every day, not just holidays. We know that all Champagne is sparkling wine, but not all sparkling wine is Champagne. The French have held firm for hundreds of years on the rules and restrictions of what and how grapes can be grown and vinified within the region of Champagne (Chardonnay, Pinot Noir and Pinot Meunier are the three main grapes permitted). They have classified entire villages Premier and Grand Cru to elevate their status above the rest. respective governing body to ensure the quality and authenticity of the region’s wines. France has long carried the reputation for being the king of sparkling wine but you don’t have to look too far to discover that they are not the only ones who take bubbles seriously, and they no longer sit at the table alone. Prosecco is Italy’s most popular sparkling wine hailing from the Veneto region in northeast Italy and is produced primarily from the indigenous grape named Glera. 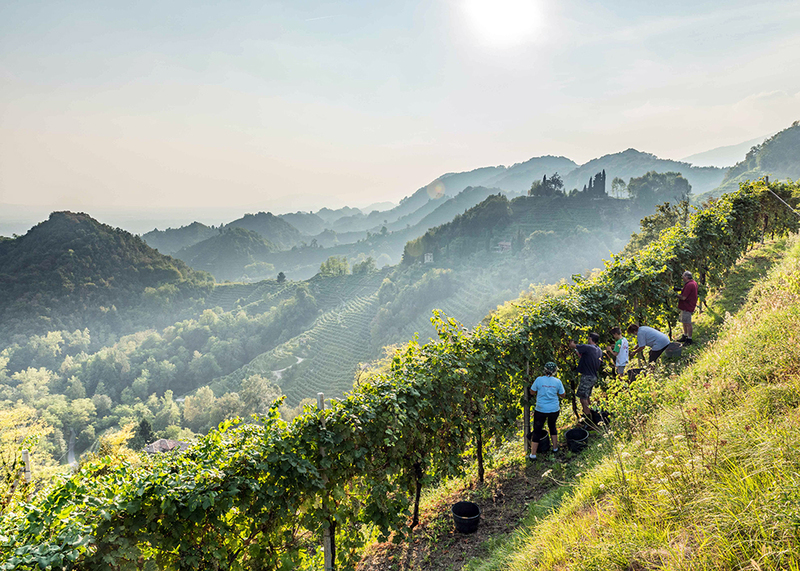 This Old World region takes great pride in their terroir – the climate and soil where their grapes are grown and has adopted DOC and DOCG laws to ensure quality and authenticity. Since 2009 wines that carry the Prosecco DOC designation must be produced in specific areas of the Veneto. 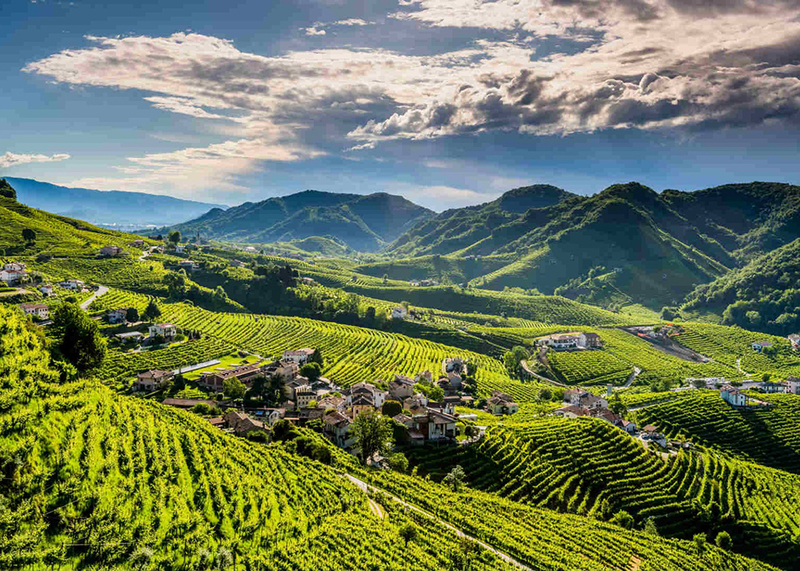 The historic core areas of Prosecco (Conegliano-Valdobbiadene and Colli Asolani), formerly DOC, were upgraded to DOCGs at the same time. 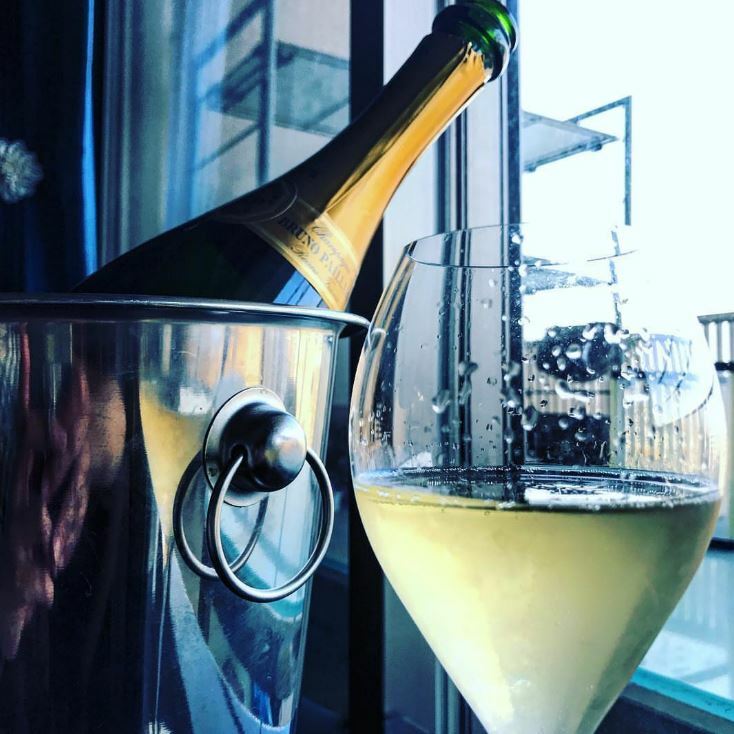 One notable difference between Champagne and Prosecco is that Prosecco’s secondary fermentation takes place in a stainless steel tank, a process known as the Charmat method. 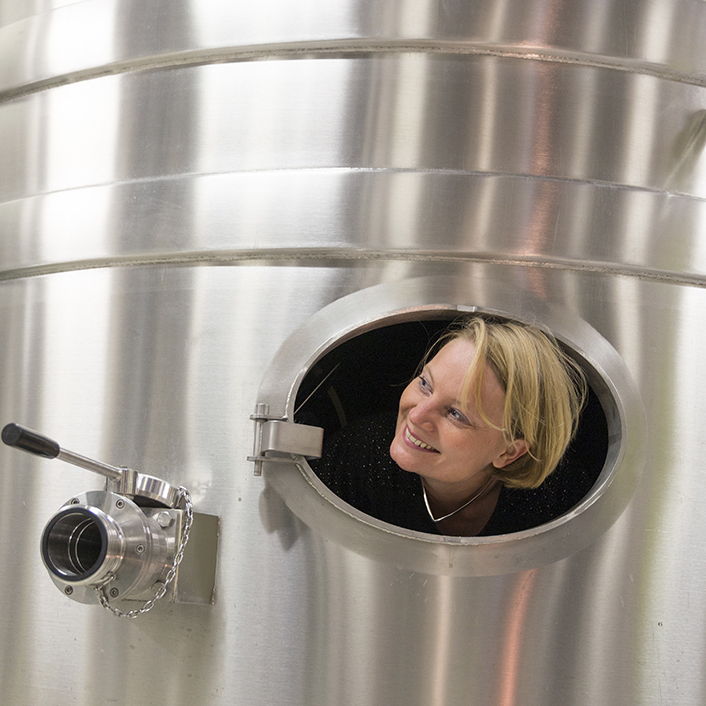 The wine is not bottled until the secondary fermentation is complete, making it a more cost effective method that results in a more affordable price for the consumer. 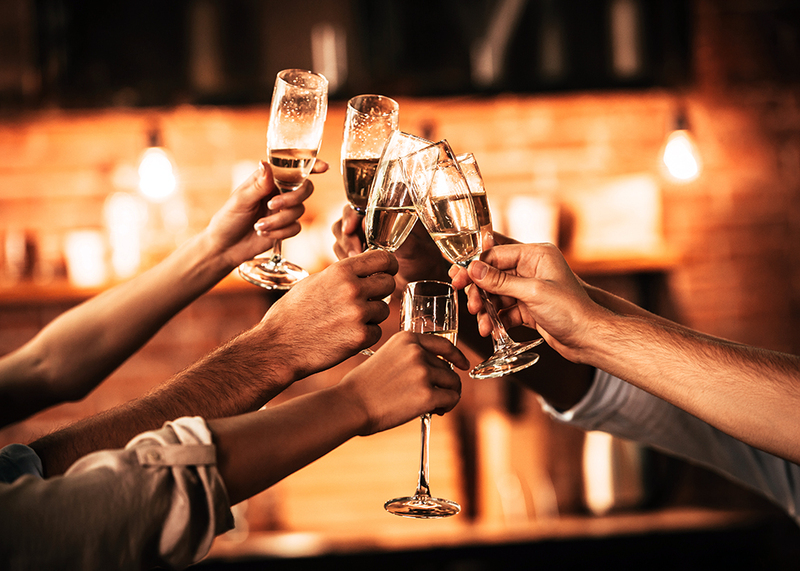 This affordability has contributed to Prosecco’s increasing popularity internationally, making quality sparklers no longer just for a special occasion but wines that can be enjoyed every day. Here at Wine Warehouse we are delighted to represent a few of the best producers the region has to offer, each with a range that would please most any sparkling wine drinker. 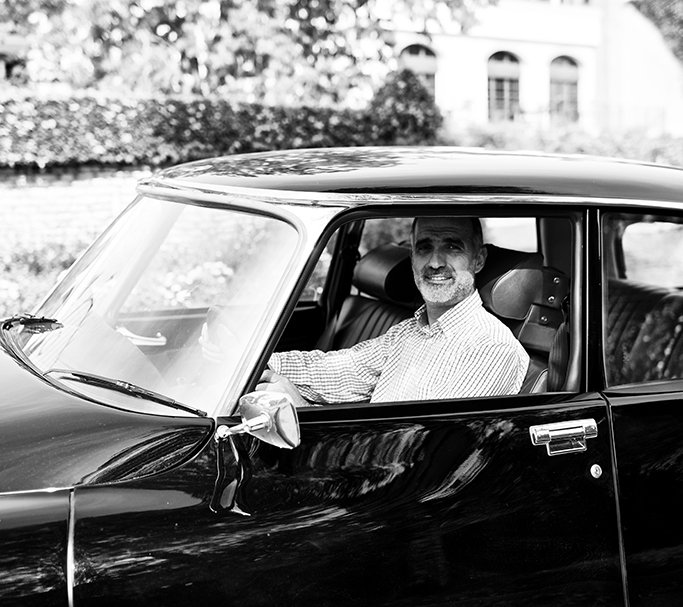 The Canellas are pioneers in the world of Prosecco and are from the heart of the Conegliano appellation, now a DOCG. Their vineyards are situated at the precise altitude where grape-ripening is more gradual and as a result, the fragrances are more intense and the natural fruit acidity is at its best. 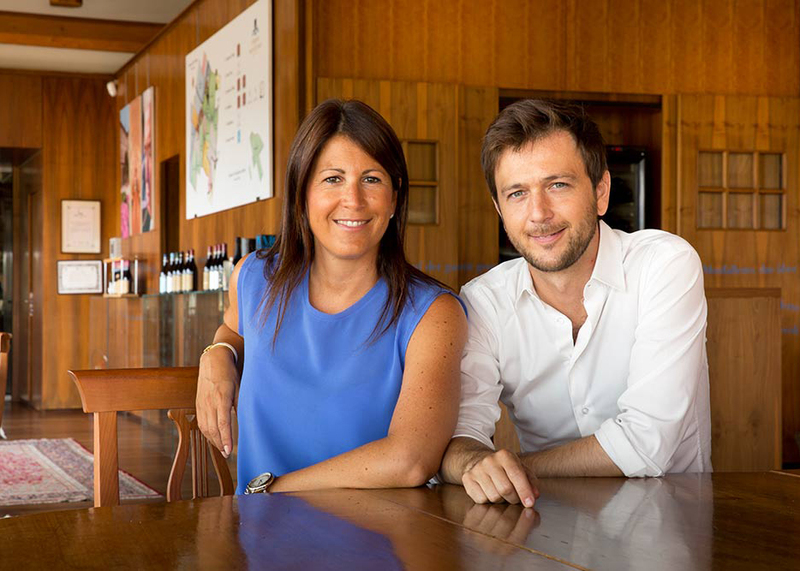 Today, the winery is run by the founder Luciano’s children Alessandra, Lorenzo, Nicoletta and Monica. Bortolomiol was established in 1949 and is an all-female owned winery. They utilize 100% Glera grapes and all their wines are Millesimato (vintage) from Valdobbiadene DOCG. They also have pioneered two incredible non-profit projects that created environmental and humanitarian movements beyond their region. Green Mark is a sustainability effort that ensures the ultimate care for the land and Wine for Life is a humanitarian project for women in Africa to help treat HIV as well as develop training and skills development for lifestyle improvement. It’s a privilege to support noble wines for such noble causes. Moving northwest to a small wine producing region in Lombardy, Franciacorta has become widely regarded as Italy’s finest sparkling wine. Crafted very much in the image of France’s Champagne by utilizing the methode champenoise (or traditional method) and Chardonnay and Pinot Nero as the base to their sparklers, this area has deservingly been elevated to DOCG status in 1997. Empson & Co. brings us a gorgeous example of what this region has to offer in Ferghettina. 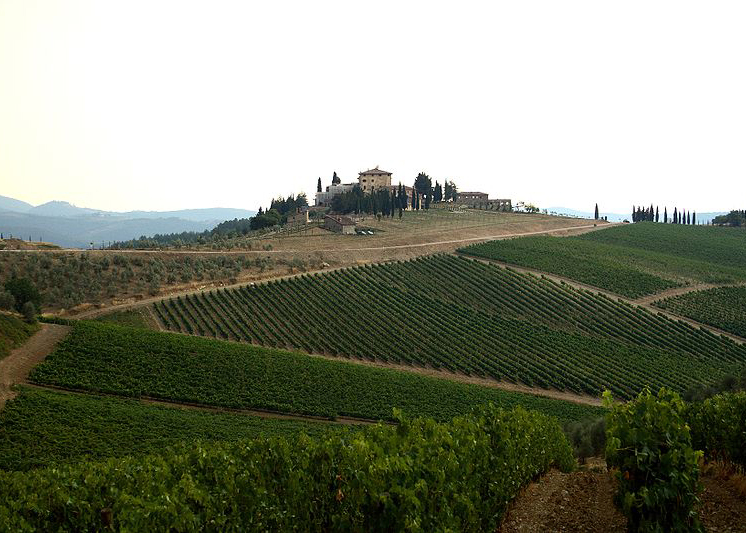 Ruggeri was founded in the 1950s by the Bisol family, who have been cultivating vines in the region for many centuries. The winery itself was established in the 1950s by Giustino Bisol on the hills of the first Dolomitic ridges, in the northern part of the Province of Treviso. 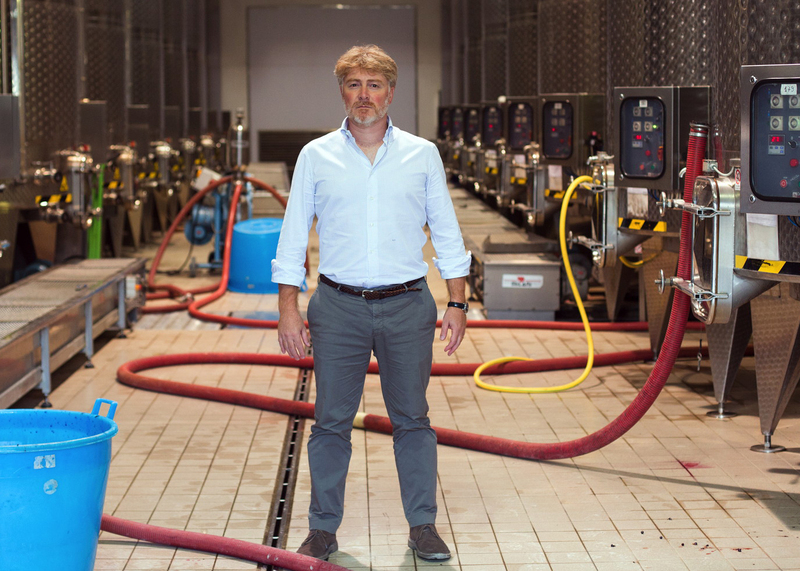 Today the winery is run by Paolo Bisol, who is assisted by his children Giustino and Isabella. And rounding out our Italian bubble portfolio is Tuscan producer Felsina with an expressive Brut Rosé made up of 50% Sangiovese, 30% Chardonnay and 20% Pinot Noir and Piedmont winery Cordero di Montezemolo’s brilliant Viaventi of 95% Chardonnay and 5% Pinot Noir. These two limited bottlings are made in the traditional method. The most contemporary and international style of the Canella wines; straw yellow with a delicate perlage; the nose shows distinctive aromas of fruit and citrus, which are confirmed on a crisp and refreshing palate. The highlights of the aromatic spectrum here are cleanliness and fineness. Fruity hints are strong, with sharp green apple and citrus standing out and complemented by fresh floral hints. The agile flavor developing on the palette is vital and dry. Very pale straw yellow with greenish glints, perfect clarity with abundant, persistent, fine perlage. The fresh, elegant bouquet offers flowery sensations merging into a typically fruity harmonious complexity with intense aromas reminiscent of golden apple. Floral and fragrant with persistent foaming bubbles. Aromas of dried fruit, pineapple, apple and honey. Fresh and clean in the mouth. Sparkling wine is made all over the world, in all of the major wine regions, but France exemplifies the category, mainly because of the fame and reputation of Champagne. Here are seven of my favorite sparkling wines from France which will not only delight your palate, but tread lightly on your pocketbook. Crémant (kray MAHN) is a term used in France to describe a fine sparkling wine made in the traditional Method, outside of the Champagne region. Bailly is a village located in Bourgogne, and is the birthplace of the AOC Crémant de Bourgogne. The Dopff & Irion Crémant d’Alsace Brut Blanc de Blanc is from the Alsace region in eastern France, made at the Château de Riquewihr, constructed in 1549, and known as the “Pearl of Alsace.” The wine is fully sparkling, and made from 50% Pinot Blanc and 50% Pinot Auxerrois, typical varietals for this region. Jean Phillipe Blanquette de Limoux 2016 is a vintage dated Crémant, from the town and appellation of Limoux, which locals say predate the fermentation in bottle practiced in Champagne. Could this be the birthplace of sparkling wine? The debate continues, but one thing we know for sure, this wine is bright, clean, fresh, and a perfect foil for seafood and shellfish. The cépage is made of Mauzac, also known as Blanquette, Chenin Blanc and Chardonnay. This is a fully sparkling Crémant from a single vintage harvest, hand harvested, and benefits from calcareous soils on sloping vineyards. This is a recipe for a great bottle of wine. Varichon & Clerc Privilege Blanc de Blancs is a classic “white wine from white grapes” made in the traditional method of sparkling wine. Varichon & Clerc was established in 1901 in the Savoy region of France, which is located just southeast of Bourgogne. Winemaking practices were first recorded in the 12th Century, in 1145 AD. Needless to say, they know how to make great wine. The cépage consists mainly of indigenous regional varietals: Ugni Blanc, Colombard, Chenin Blanc, Chardonnay and Jacquère. This is a pale and brilliant gold wine, with fresh fruit aromas on the nose, well-balanced between freshness and fruit on the palate. The bubbles are tiny and persistent, with a lively core of minerality. Chamdeville Blanc de Blancs is another winner made in the traditional method, from Semillon, Muscadelle and Ugni Blanc. Each varietal brings something to the blend, Semillon gives the wine structure, Muscadelle gives the wine fresh fruit aromas and the Ugni Blanc delivers bright freshness to the wine. This is a perfect wine as a standalone aperitif, or makes a great base for cocktails. Pol Clement Vin Mousseux is a sparkling wine made in the traditional method; the winery was founded in 1909 by Eugène Charmat, who is the inventor of the Charmat process for making sparkling wine. This wine has tremendous value and comes in 187ml (perfect for BTG), 375ml, and the traditional 750ml format. It also makes a sparkling dry Rosé which is very popular as a lunch or brunch option. For a value-driven sparkling wine, let yourself be seduced by Pol Clement. Rosé is incredibly popular today, whether it is a still wine, or this sparkling version from Coeur Clémentine in a dry style. This wine is delicate on the palate, with fresh berries on the nose and a long creamy finish. Delicious!